Just got a healed picture of the 2 koi fishes tattoo. This custom tattoo took me about 11 hours. I've become really interested in oriental tattoos recently so it was nice to have an opportunity to work on this chest piece. I had fun tattooing these 2 koi fishes. 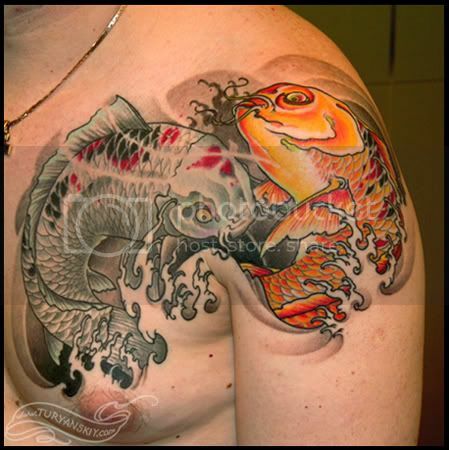 The result you can see in my Tattoo Gallery as usual as well as all the recent tattoo works. ~Oleg.